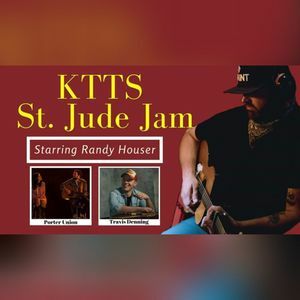 KTTS presents the KTTS Race Brothers St. Jude Jam starring Randy Houser with special guests Travis Denning and Porter Union at the Gillioz Theatre on Tuesday, March 19th. Tickets go on sale 1/28 at 10 a.m. Doors open at 5:30 p.m. Show starts at 7 p.m. Proceeds will go to St. Jude Children's Research Hospital!